Being the victim of a dog bite is frightening and can also trigger medical bills, emotional suffering, and permanent scars. If a dog bites you, you may need to contact a personal injury lawyer to seek compensation for your expenses and prolonged pain and suffering. When you visit a lawyer in Tracy or Livermore , the first step in determining if you should consider filing a lawsuit is a case assessment. Here is what you should expect. Your lawyer will start by asking you to explain exactly what happened when you were bitten. Your story must demonstrate that you were bitten in an unprovoked attack and that the dog’s owner should have had a reasonable expectation that the dog could become violent. If you did anything to provoke the dog, even if you were playing a seemingly harmless game, then your ability to get compensation for your injuries could be diminished. 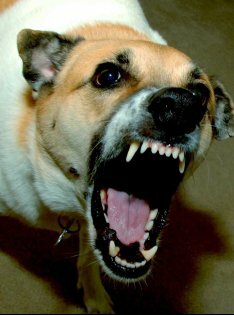 In terms of the dog owner’s knowledge of his or her dog’s aggression, if the dog has bitten someone before, there is a reasonable expectation that the dog may become aggressive again. Sometimes, it is difficult to prove that a dog owner is negligent if the animal has never previously bitten anyone. Your lawyer will also want information about where and when the bite occurred, and if you were on private property, if you had permission to be there. During your case assessment, your personal injury lawyer will also review your medical bills and any other costs you incurred as the result of the dog bite, such as lost wages for time missed at work. If you received permanent scars as the result of the bite, this prolonged impact of your injury may shape the kind of damages your injury lawyer seeks. Your lawyer may also seek punitive damages and damages for pain and suffering you experience as the result of the bite, such as the stress caused by a permanent scar or a new phobia about dogs that is affecting your life. How Can Your Personal Injury Lawyer Prove Negligence? For legal purposes, negligence refers to a person’s actions or failure to act in accordance with a duty owed to another person. If you intend on having a personal injury lawyer file a claim on your behalf, it is not sufficient to simply state that the defendant acted negligently in some way. There are four elements of negligence for every personal injury claim. A personal injury lawyer building a case in Tracy or Livermore must demonstrate that each element is present. This first element is often the easiest to prove. The personal injury lawyer must demonstrate that the defendant owed a duty of care to the plaintiff. In auto accident cases, for example, this means that the defendant owed a duty of care to drive in a reasonably safe manner, such as by obeying traffic signals. In some cases; however, proving that a duty of care existed can become more complicated. For instance, in dog bite cases, a dog’s owner may not owe a duty of care to a trespasser on private property who is bitten by the dog. The second element of a personal injury case involves proving that the defendant somehow breached the duty of care. In an auto accident case, this may be accomplished by using the police report to prove that the defendant ran a red light. Thirdly, the injury lawyer must prove that the breach of duty of care directly led to the plaintiff’s injuries. For instance, if the defendant ran a red light and immediately struck the plaintiff’s car, then it’s usually clear that the plaintiff’s injuries were caused by the defendant’s actions. However, if the defendant ran a red light and did not strike the plaintiff’s car until he or she had traveled several miles, these two actions may not necessarily have a causal relationship. Finally, personal injury lawyers must prove that the plaintiff has incurred losses as a result of the injuries. This is typically accomplished with medical bills. Future damages may also be calculated, such as the loss of future wages if the plaintiff’s injuries prevent him or her from working. Should You Consider Setting Up a Trust? A trust is a financial arrangement that a lawyer can set up for you. While trusts can be very useful for many people, not everyone needs one. Generally, it’s advisable to have an estate planning attorney set up a trust on your behalf if you have substantial assets or complicated financial situations. For guidance on whether a trust can benefit your family, watch this video and contact an estate planning attorney near Tracy or Livermore. 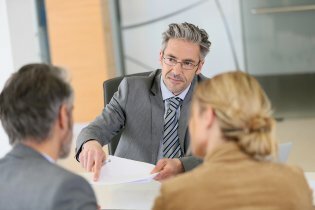 The expert in this video discusses some of the types of trusts available and explains why some people may want to have a lawyer establish them. For example, upon your passing, any assets managed within your trust will bypass the probate process. This can help ease the transition of your passing for your surviving loved ones. Additionally, trusts may confer certain tax benefits. When Should You Consider Changing Your Will? If you’ve visited an estate planning attorney to draft your last will and testament, you’re already taking a step in the right direction. However, wills are not a “one and done” solution. At certain points during your lifetime, you should revisit a lawyer in the Tracy or Manteca areas to update your will. If you’re ever unsure of whether it’s time to update or completely revise your will, a lawyer who handles estate planning matters can offer guidance. A move across town doesn’t necessarily necessitate an update to your will, unless of course, you’ve experienced other changes in your life circumstances. However, if you’re moving across state lines, you may need to consider talking to an estate planning lawyer. This is because some states are community property states, whereas others are common law property states. This difference refers to the way in which the law treats marital property. You can use your last will and testament to designate beneficiaries for your treasured possessions , but families are subject to change. When you marry (or divorce), it’s time to update your will to reflect new beneficiary preferences. If you marry and acquire new stepchildren, you should be aware that these individuals may not necessarily inherit anything from you unless you specify their inheritances in your will. It’s also a wise decision to revise your will when you have a new baby or adopt a child. In these cases, designating the kids as your beneficiaries is just one of the reasons to update the will. You’ll also need to designate a legal guardian in the event that you pass away before these children become adults. You may have left your artwork collection to your sister, but what happens if you decide to sell it or give it away instead? You may wish to update your will to leave your sister a different family heirloom instead. Similarly, if you acquire a major asset such as a boat, you may need to add a beneficiary to your will.